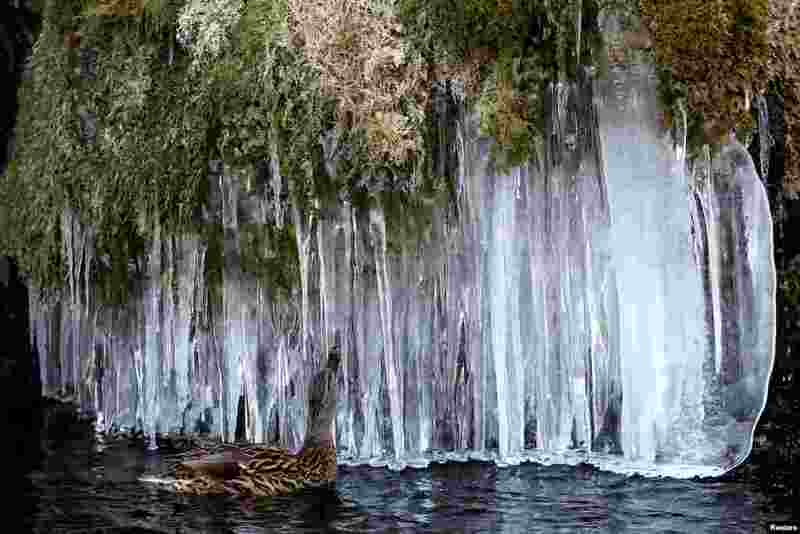 1 A duck swims near icicles at a pond in Bern, Switzerland. 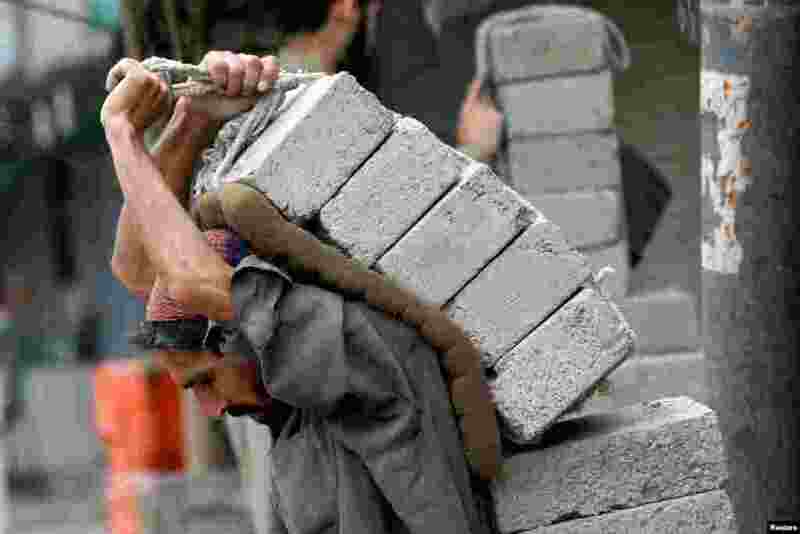 2 A laborer carries bricks on his back at a construction site in Karachi, Pakistan. 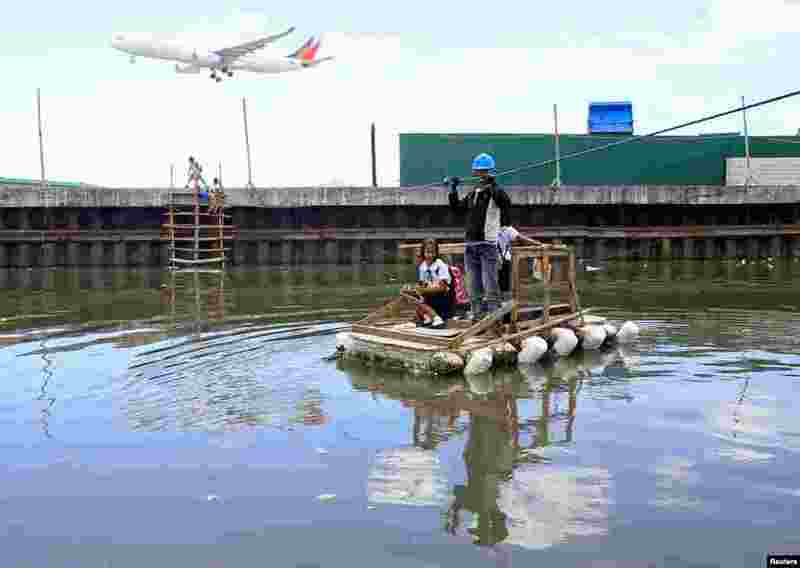 3 A man holds onto a rope as he takes children to a school on a makeshift raft across a river in Paranaque city, south of Manila, Philippines. 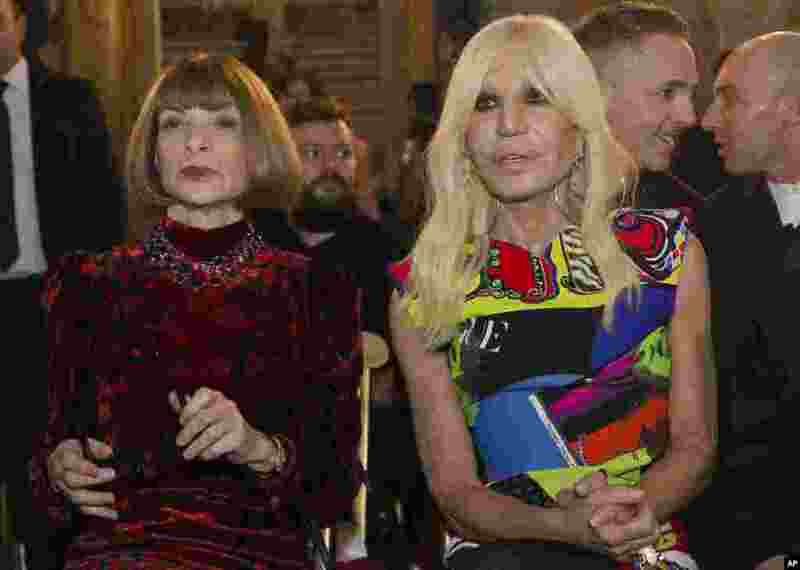 4 Designer Donatella Versace and Vogue Editor-in-Chief Anna Wintour, left, sit at Palazzo Colonna in Rome, Italy. The Vatican loaned some of its most beautiful liturgical vestments, jeweled miter caps and historic papal tiaras for an upcoming exhibit on Catholic influences in fashion at the Metropolitan Museum of Art.